These days, things around my house, seems to take 4 times longer, than they should really take me. I get 5 minutes here, 15 minutes there...but rarely ever a solid block of time to get a project, much less a room done. It used to really bother me, I felt like every room in my house, still needed work. In all actuality that IS still the case. But I think I feel a little more accomplished doing several little things each day or two, rather than one room in a couple of months. That may just be my exhaustion talking! As I had told you before, I was making over my youngest's, bedroom. I know, I know, we haven't even lived here two years...it's the constant re-decorator in me. In the fall, we purchased her a toddler bed, so the room had to change along with it. It sort-of looks complete, but needs a couple finishing touches. Should be able to show the big reveal next week sometime. 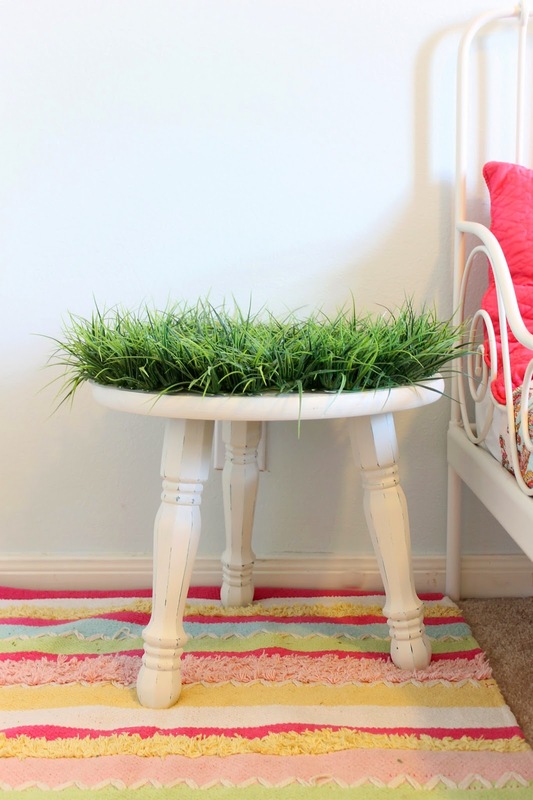 For now, I wanted to show you the grassy nightstand makeover. I searched for months to find a table that was just the right size. 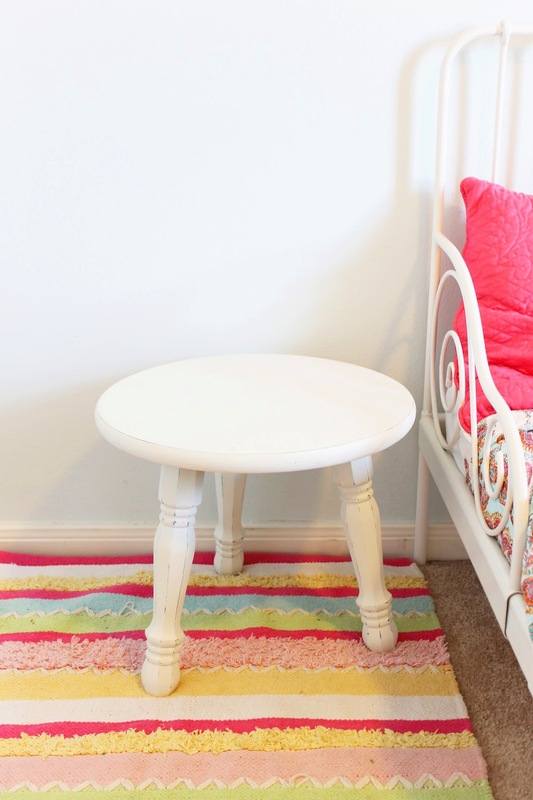 Toddler beds sit really low to the ground, so the table also had to be low, but not to wide for the proportion of the space. I ended up making a simple table, with a top, and screw on legs from Lowe's. I started with a coat of blue spray paint, then gave it a coat of white paint. Once dry, I sanded down the edges a bit, so the blue would show through. The blue itself would have been much to bright. Against the white bed, It now seemed a little to simple in her room. Yet, I didn't want a color that would take away from her bedding, and art on the wall. 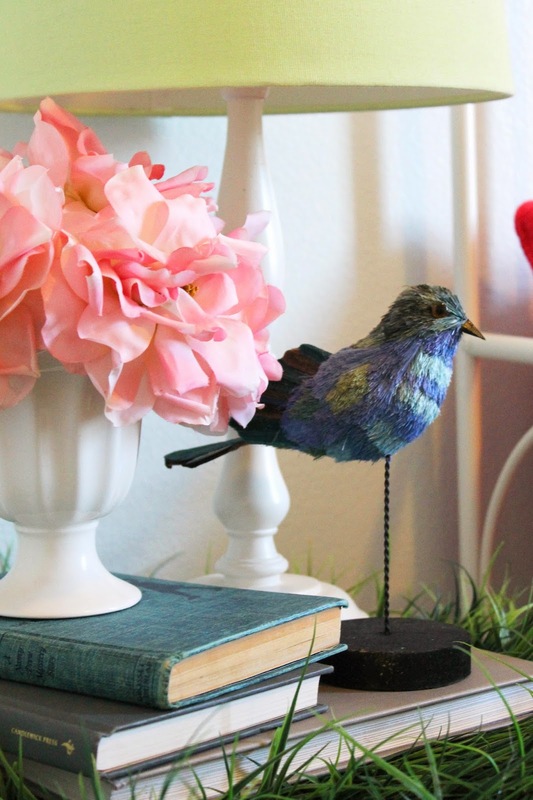 I kinda went with a nature theme for her room, and by nature, I mean...I imposed my freaky bird love on her :) I did add flowers and such, to detract, but mostly so my husband wouldn't commit me. 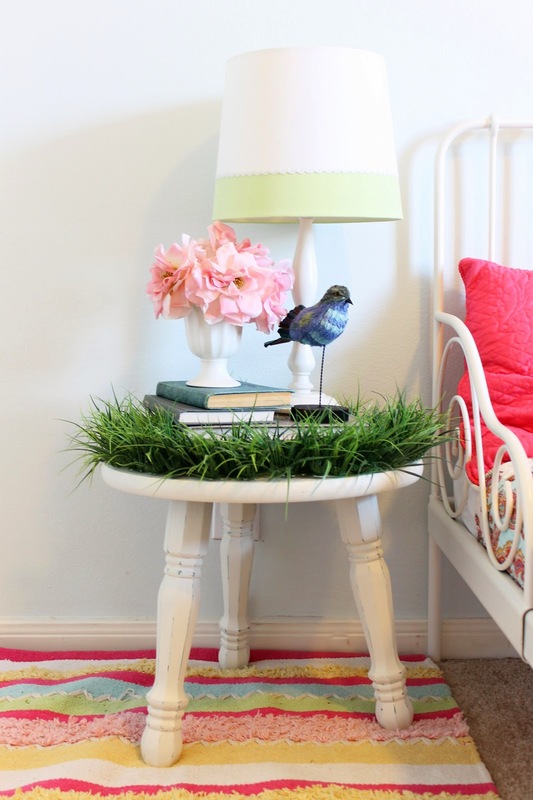 So I thought the night stand would be the perfect spot to bring the nature back in. 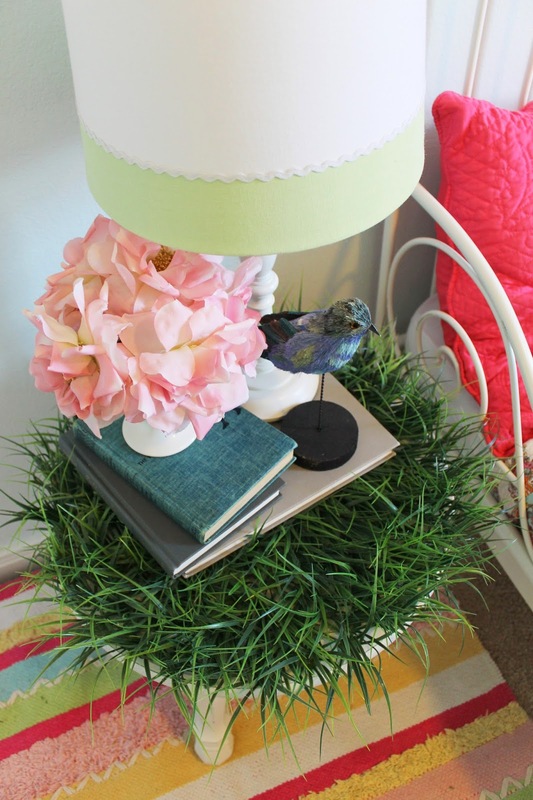 I always love to add greenery, and texture into my decor, it really warms up the space, and this did both. 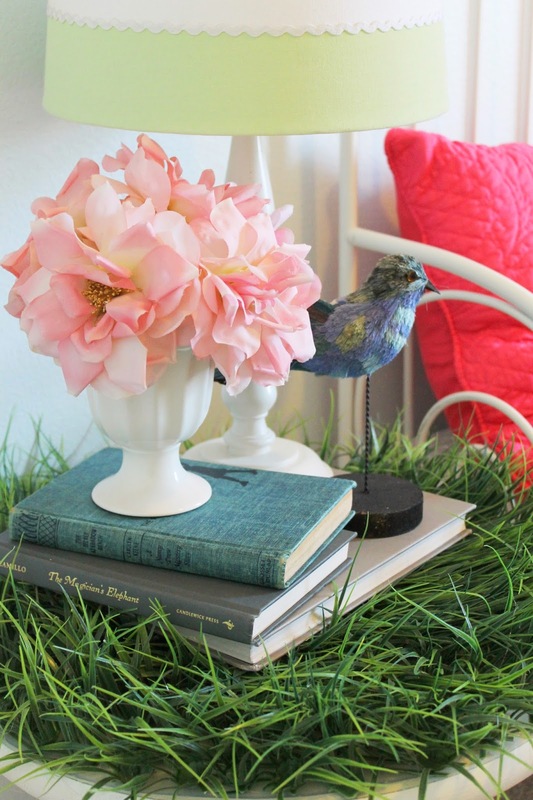 This would work for any kind of outdoor, camping, woodland, or floral themed room. 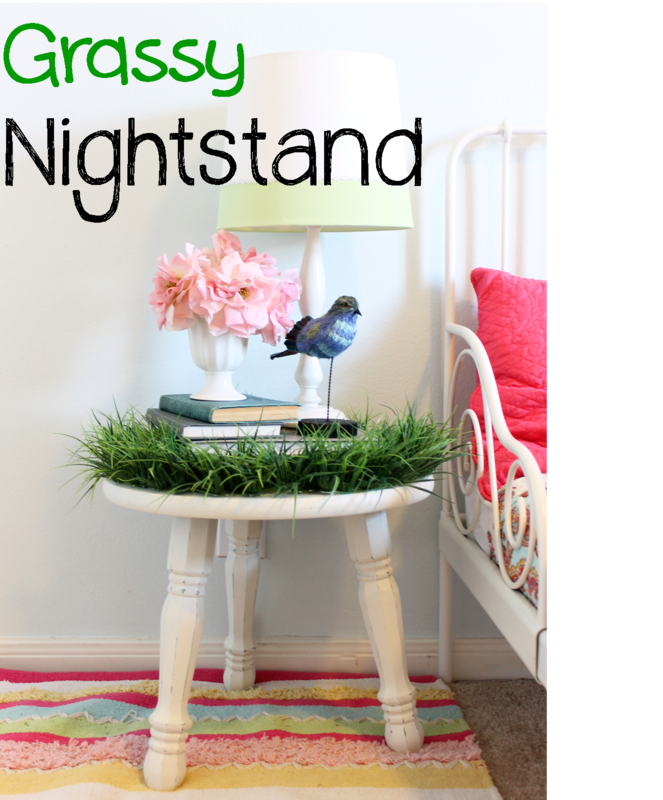 I started with the round nightstand.....but this would also be cute on a coffee table in a playroom, on a low window seal, or even on the back of a toilet tank, with some flowers sprouting up, or bugs walking along it. 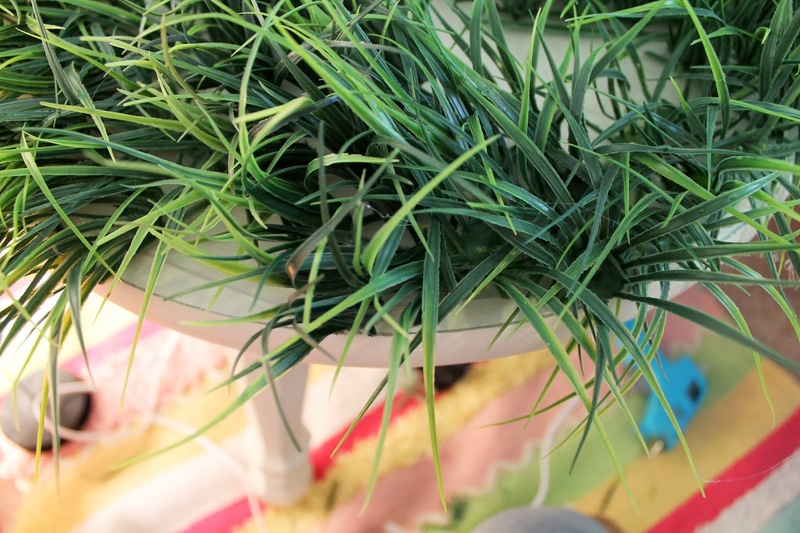 The plastic grass is from Hobby Lobby. They come in these 12" squares, and are about $5 a piece. This is part of the Easter decor..but during most of the spring, they have these in stock. 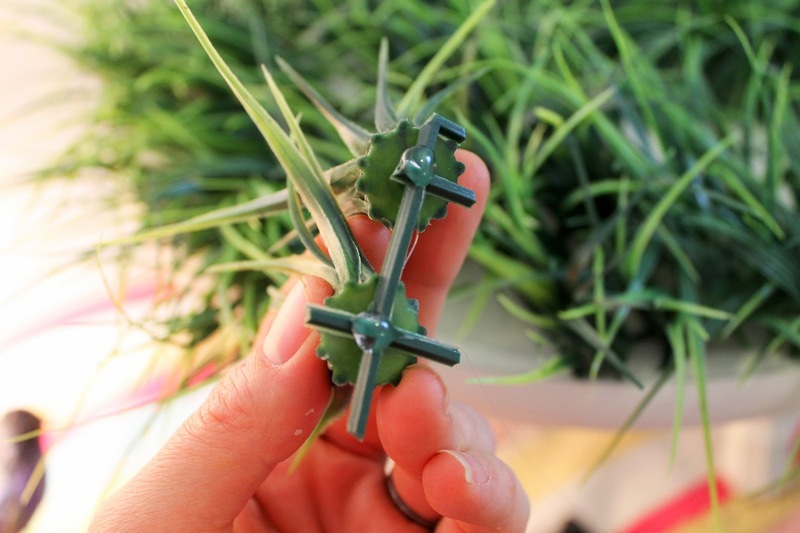 I used three pieces, for this project, and still had left overs. 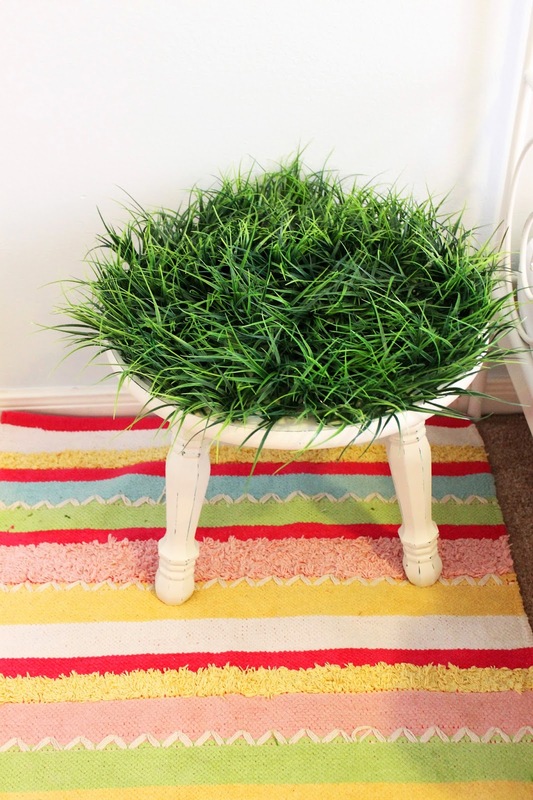 I didn't want this to be glued directly to the table, so I needed to attach the grass to something else. I happened to have a plastic desk pad from Ikea, from my older daughters room. 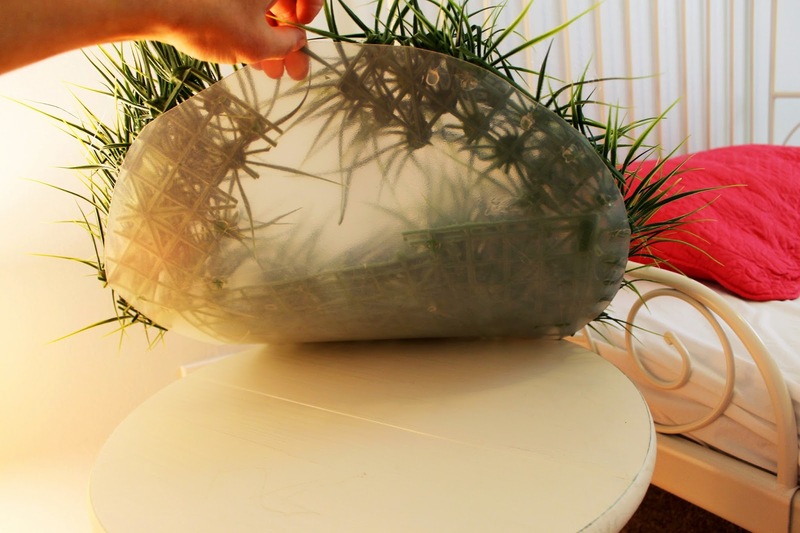 It's clear, so you can still see the table underneath, and hefty enough, not to slide around. Projs Desk pad, they run about $6. I cut it into the shape of the table top. 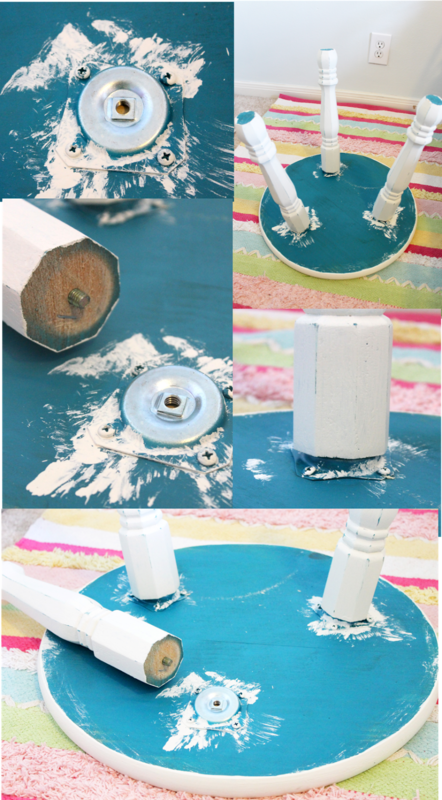 You could use chip board, poster board, with double stick tape, or even cardboard painted with the tables color. 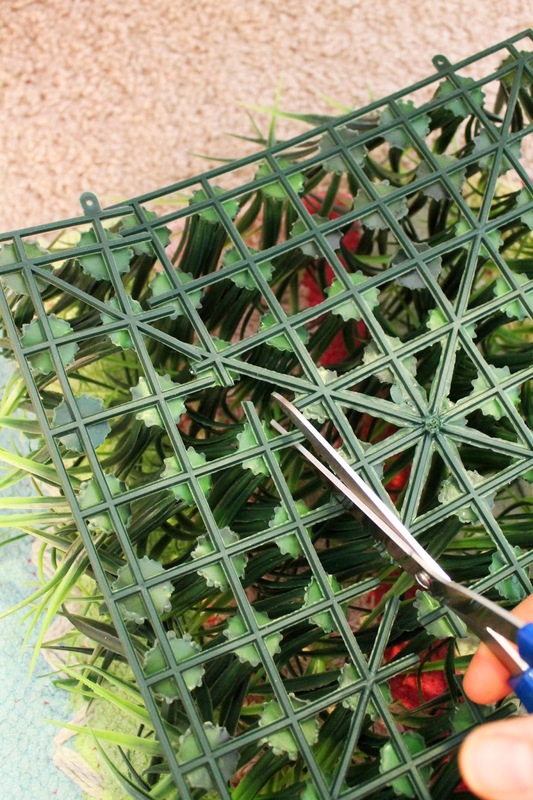 Next I cut the grass pieces. Laying them on the table to see where my cuts were. 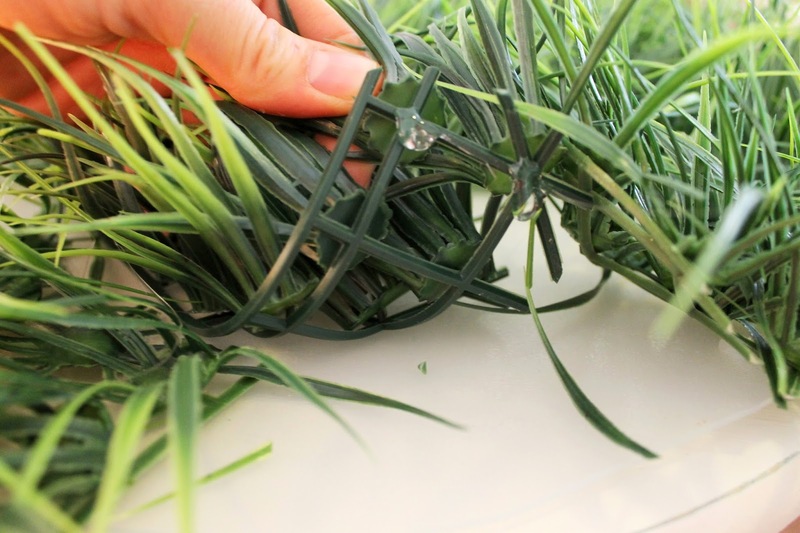 Since the tufts of grass were in intersections, you may need to use some weird cuts to fill the space. 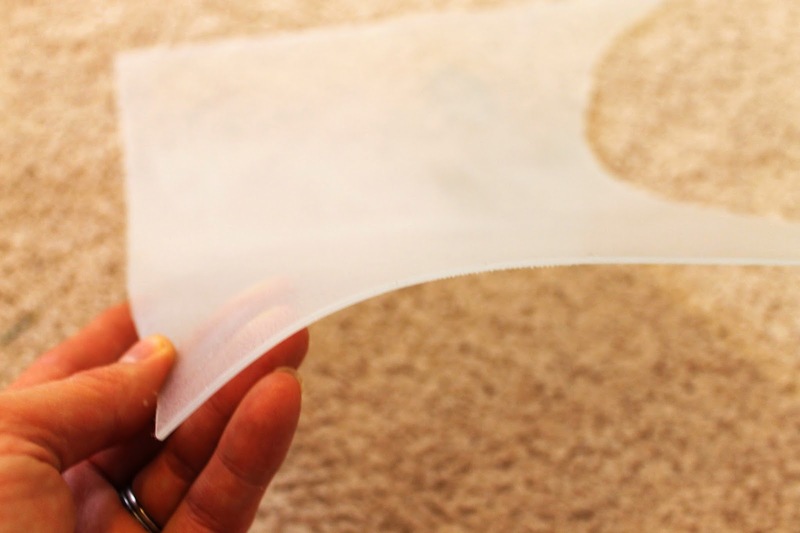 Using a hot glue gun, I attached them to the plastic pad. 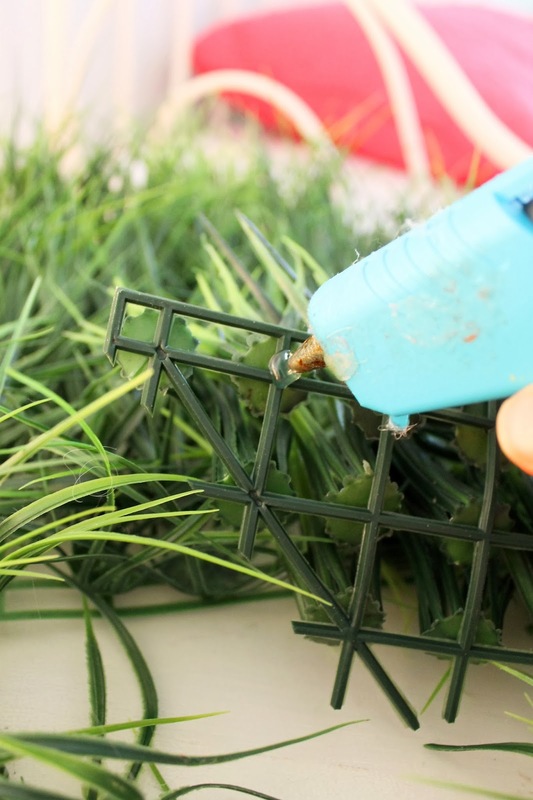 Once the main areas are done, you may end up with some sparse areas around the edges. I just cut small sections, and filled any bare looking areas. Here's a sneak peak on how it was finished off. 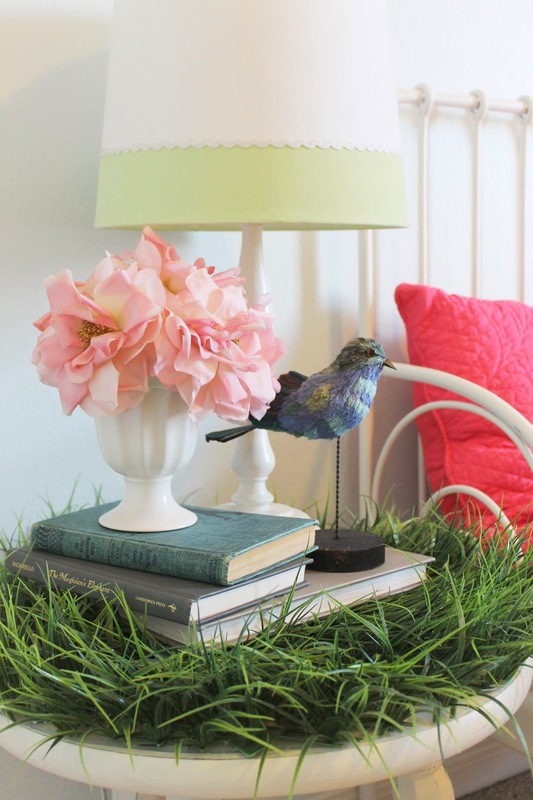 The lamp was from Target, about 12 years ago :) The awesome little bird is from West Elm. This was at my old house, in my sons nursery. 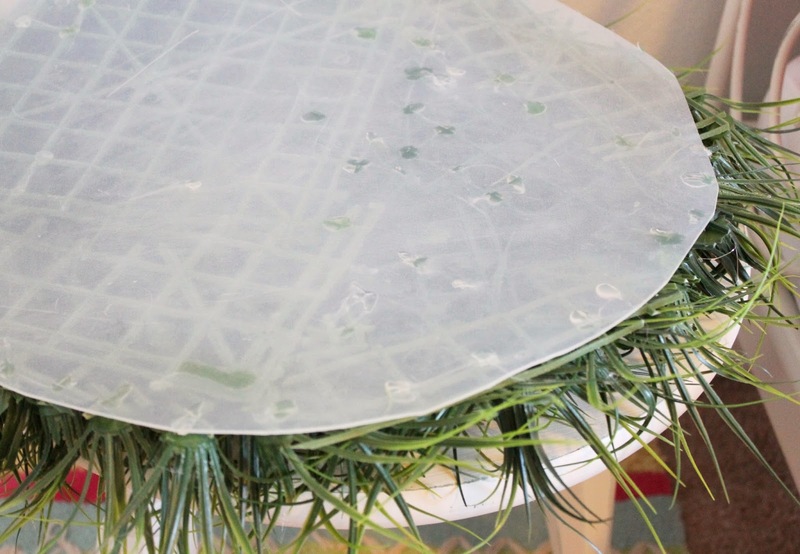 I used two sheets of grass, to stick the diaper basket and wipes on. 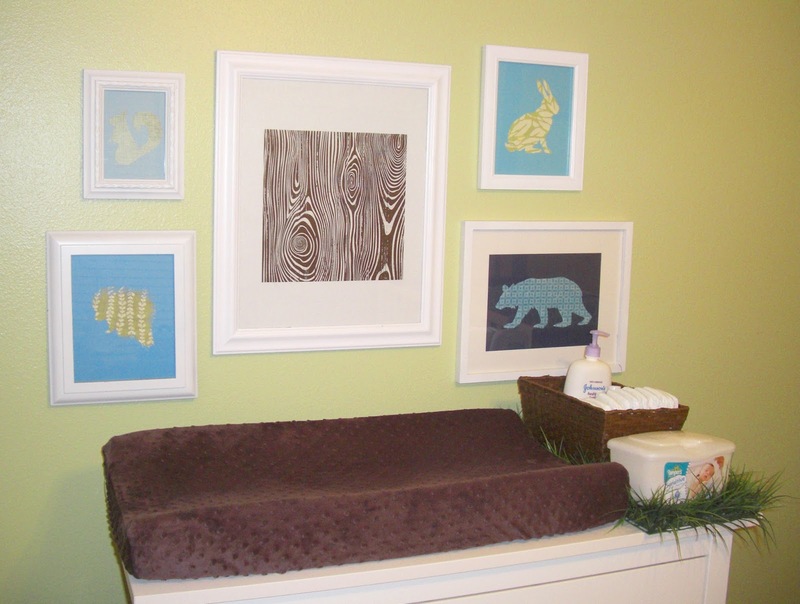 Made the changing table a bit more fun and quirky. 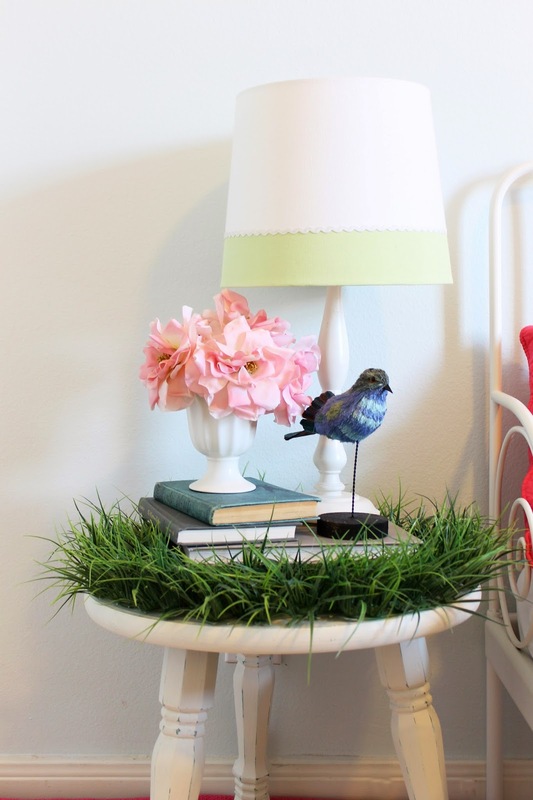 See the whole woodland nursery here. 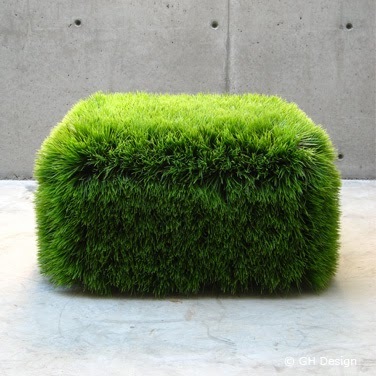 Who doesn't need an ottoman made of grass??? 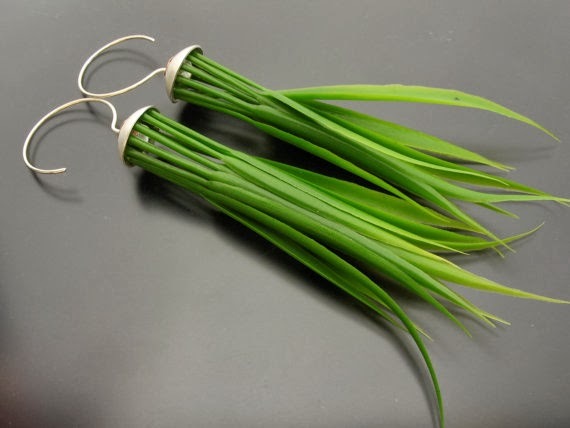 Just don't make this if you have pets....they may get the wrong idea. By GH Designs. 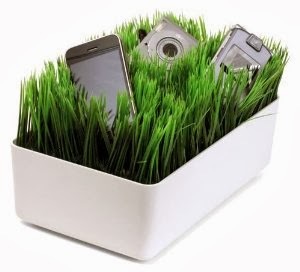 Grass Charging Station, by Kikkerland...Simple enough to make I'd think. 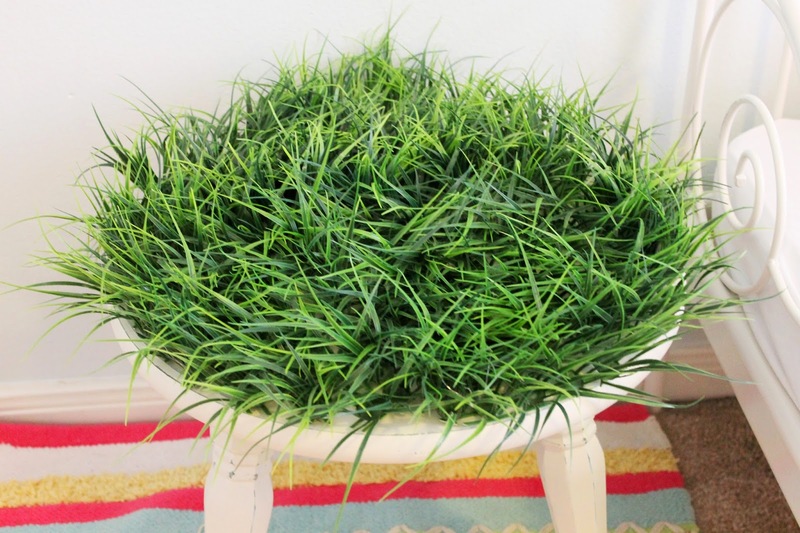 No water required....now that's my kind of grass! !